People who ride with Flyingeese do so for many reasons, but one of the main points is the attention to detail – we try hard to make every element of the trip as good as it possibly can be, so you come home feeling like we really did think of everything. One of the things we did an awful lot of thinking about was the bikes themselves. It would be completely against what we stand for to stick our guests on whatever bulk model we could get a good deal for down at the Bargain Basement Bike Shop. Instead, we started by spending thousands of hours in the saddle on a range of top-end models to find the best bike for the roads we ride. In the end, Colnago was the name that stood out – so we equipped ourselves with a stable full of their CX Zero Evo Ultegra 11 speed bikes, which all our guests get to ride. If there’s a better model available for hire in the Algarve, we haven’t found it yet. Based in Italy, Colnago have been going more than 60 years – and as any aficionado will tell you, they’re known as the Ferrari of road bikes (in fact they’ve collaborated with Ferrari on R&D in the past). As well as building frames the founder, Ernesto Colnago, was an in-demand race mechanic on the Giro d’Italia – and his close involvement in top racing circles underpinned the company’s fast-increasing success, the famous ‘club’ logo becoming visible all over the cycling world. Colnago were particularly famous for their partnership with the legendary Belgian racer Eddy Merckx, eventually producing the super-light steel frame that Merckx used to destroy the world one-hour record in 1972. 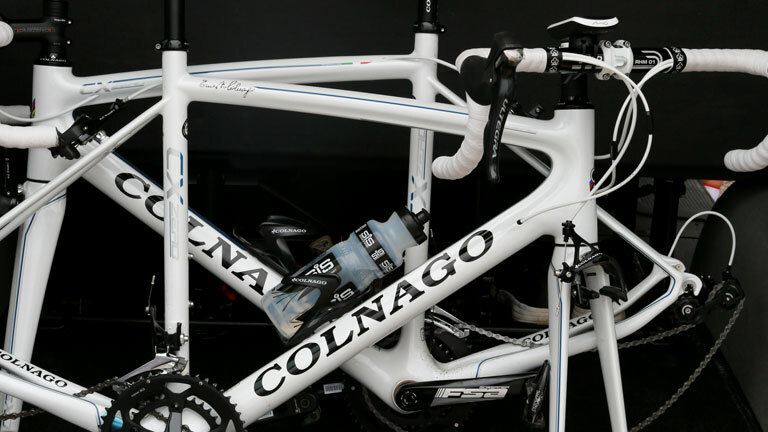 Colnago have led the way in innovation ever since, consistently producing ground-breaking models and spearheading the development of today’s carbon fibre frames.